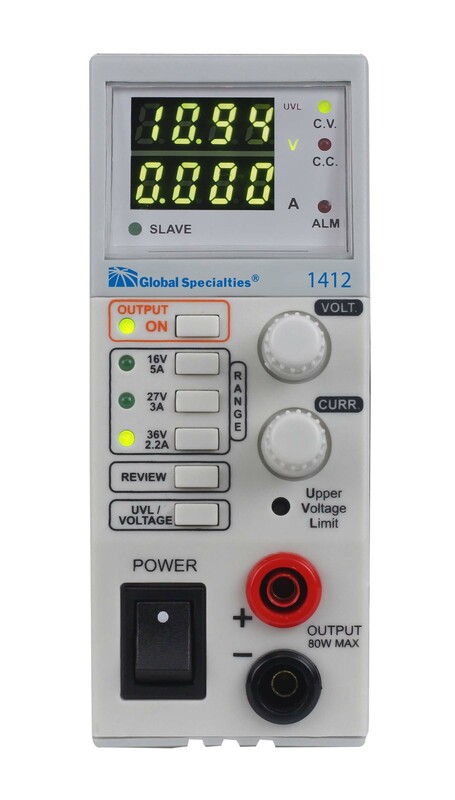 The Global Specialties model 1412 is a triple range DC power supply. This switching mode power supply is like having three power supplies in one. 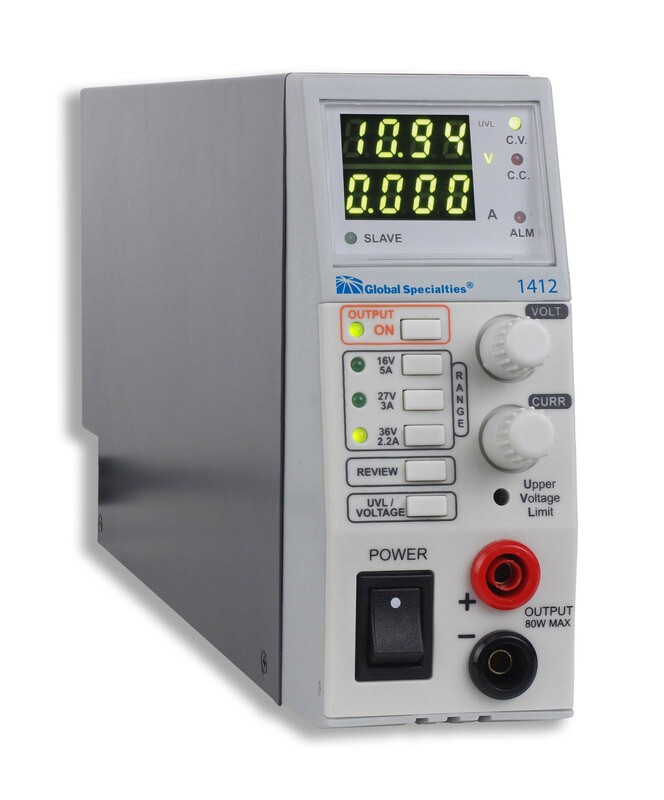 Simply press the range button for the desired range and the 1412 adjusts its output parameters. Remote sensing and 4-digit LED meters give precise voltage at the load point. There are output terminals on both the front and rear panels. 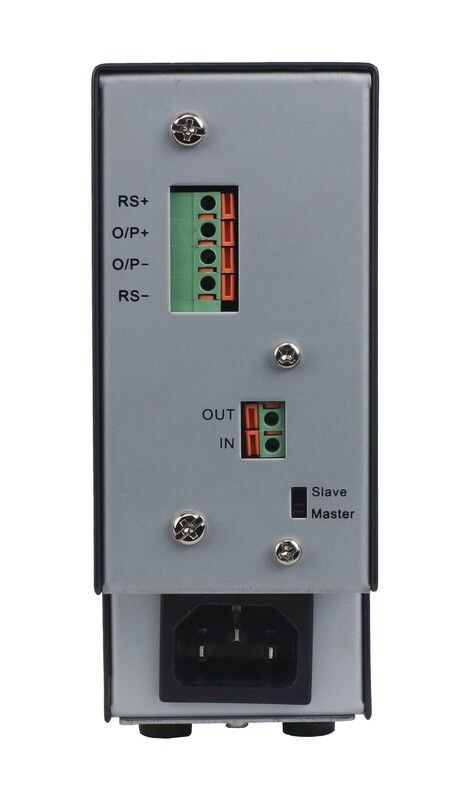 The Master/Slave feature allows you to multiply the current output by connecting several 1412 units in parallel. The adjustable Upper Voltage Limit ensures complete protection to voltage sensitive loads. 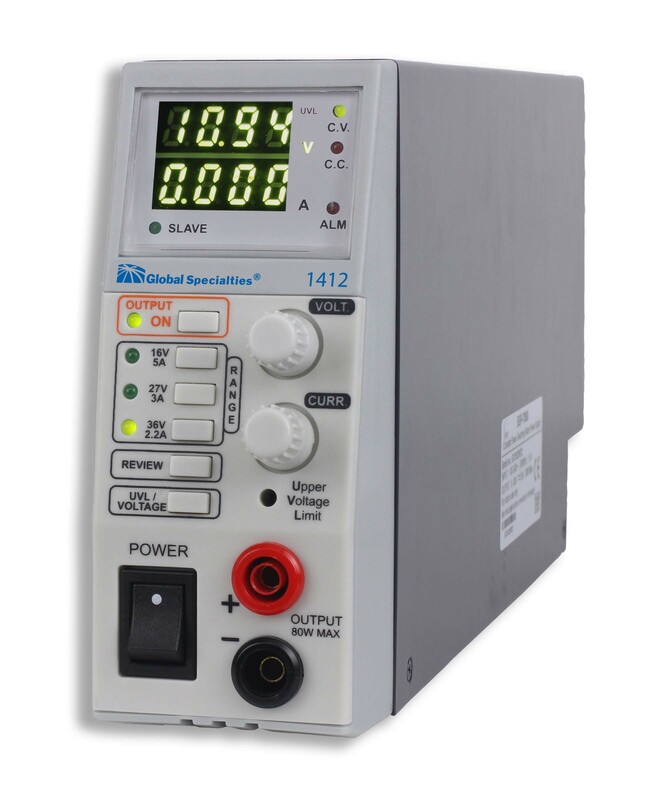 This power supply is well suited for a wide variety of electrical and electronics applications in service shops, engineering labs, production facilities, school laboratories, and home use.